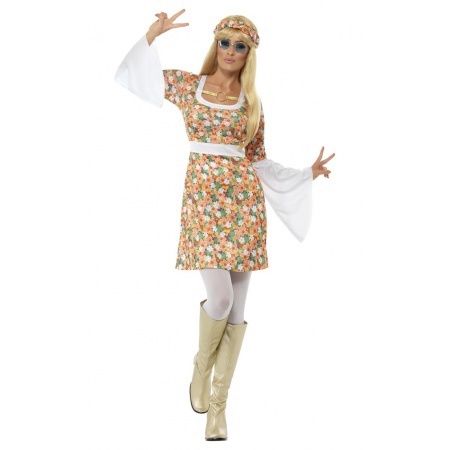 Our hippie girl costume includes a retro floral print dress and matching headband. 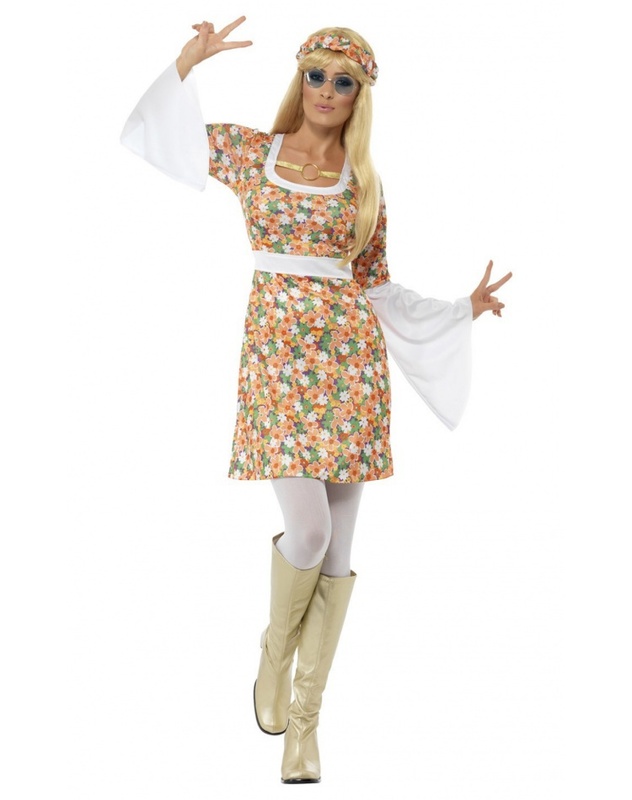 The adult hippie outfit features long white bell cut sleeves - perfect for a Halloween costume or a 60s/70s costume party. 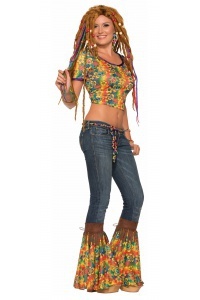 Our hippie girl costume comes in adult sizes Medium, Small, Large. 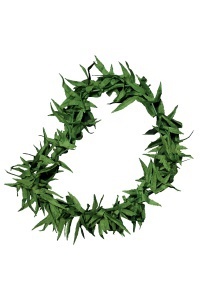 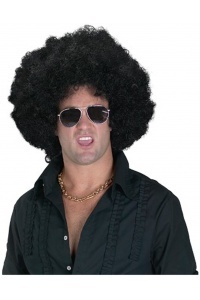 The wig, sunglasses and tights are not included witht his 60s - 70s flower child costume for women.